When marijuana legalization started to gather momentum in the mid-1990s, many investors saw the seeds of opportunity in the marijuana plant. Those who invested early in quality pot stocks have made a fortune. Is it too late to profit from the marijuana boom? Not if you choose your investments wisely and focus on the fundamentals. One marijuana stock in the news lately is Canada-based Aurora Cannabis (NYSE: ACB, TSX: ACB). As I’ll explain below, the company this month announced a huge overseas expansion that could bode well for the company and its investors. But with marijuana stocks, you need to read between the lines. The sector is subject to considerable hype. Aurora Cannabis could be poised for stellar growth in 2019. But the company also could be a “fad” stock destined to crash and burn. Should you buy or avoid Aurora Cannabis? Let’s examine whether the company’s stock deserves your hard-earned dollars. Headquartered in Edmonton, Canada, Aurora Cannabis produces and distributes a wide variety of medical marijuana products. The company’s products consist of dried cannabis and cannabis oil, CanniMed vegan capsules, and hemp products. The company also sells vaporizers, vaporizer accessories, and herb mills. Aurora Cannabis (market cap: $9.1 billion ) operates in 22 countries and holds partnership agreements with several drug retail chains for the distribution, sale, and marketing of medical cannabis products. Aurora also operates CanvasRX, a network of counseling centers for marijuana medical treatment. In October 2018, Aurora changed its OTCQX ticker symbol ACBFF to “ACB” on the New York Stock Exchange (NYSE), and continued to trade under ACB on the Toronto Stock Exchange (TSX). How Has Aurora Cannabis Performed? 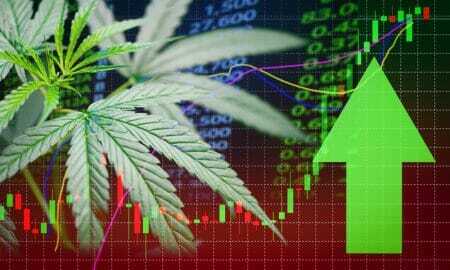 Year to date, Aurora Cannabis has gained about 83% compared to a gain of 15.5% for the S&P 500. Over the past 12 months, Aurora Cannabis has gained 55.2% compared to a gain of 10.8% for the S&P 500. Over the past two years, Aurora Cannabis has gained 326.4% compared to a gain of 24.3% for the S&P 500. How Has Aurora Cannabis Performed In 2017/2018? In 2017, Aurora Cannabis gained 328.6% versus a gain of 19.4% for the S&P 500. In 2018, Aurora Cannabis lost 56.1% compared to a loss of 7.5% for the S&P 500.
Who Are Aurora Cannabis’ Rivals? Based in Smith Falls, Canada, Canopy Growth grows and sells medical cannabis in Canada. Its products include dried flowers, oils and concentrates, softgel capsules, and hemps. The company offers its products under the Tweed, Black Label, Spectrum Cannabis, DNA Genetics, Leafs By Snoop, Bedrocan Canada, CraftGrow, and Foria brand names. With a market cap of $14.6 billion, Canopy Growth garnered considerable media attention in August 2018, when beverage giant Constellation Brands (NYSE: STZ) paid $3.8 billion to boost its ownership of CGC to 38%, to help fuel Canopy’s development of new products. With a market cap of $5.1 billion, GW Pharmaceuticals develops cannabinoid treatments. Through partnerships with Big Pharma, the company is marketing its Epidiolex multiple sclerosis treatment in more than 20 countries. The company has other products in the pipeline, including therapies for glaucoma and schizophrenia, and a potential treatment for an aggressive form of brain cancer. With a market cap of $234.3 million, this biotech focuses on genetic engineering and plant breeding and is developing a new strain of hemp with zero tetrahydrocannabinol (THC), the main psychoactive compound found in cannabis. 22nd Century Group also is creating genetically engineered tobacco plants with 97% less nicotine than conventional strains, as well as a strain high in nicotine that allows for the lowest tar-to-nicotine ratio in the cigarette industry. The three companies mentioned above are among many Aurora rivals that continue to emerge. Will Aurora Cannabis Go Up In 2019 (Should You Buy)? Aurora Cannabis is vertically integrated and horizontally diversified, two advantageous qualities. The company boasts a growing footprint throughout the cannabis value chain, including agri-facility building and design, genetic breeding, plant cultivation, product development, and wholesale and retail distribution. Aurora currently is in talks with major beverage companies, including Coca-Cola (NYSE: KO), to introduce cannabis-infused drinks. Mainstream consumer deals like these could spark huge upward spikes in Aurora’s stock. Aurora Cannabis also benefits from its location in the Great White North. Canada’s nationwide legalization of marijuana in 2018 boosted the entire cannabis sector. Canada is the second country, after Uruguay, to legalize possession and use of recreational cannabis for all adults. Medical marijuana has been legal in Canada since 2001. Canada’s approach differs from that of the U.S., where marijuana remains banned at the federal level but states are free to enact their own laws. In the U.S., 10 states and the District of Columbia have full marijuana legalization, and another 23 states permit medicinal uses with permission from a doctor. 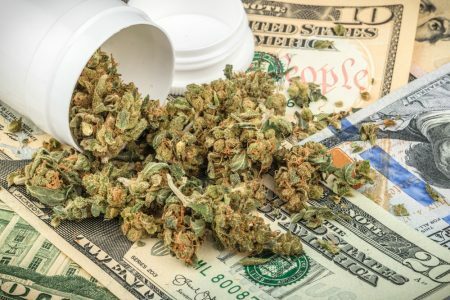 In further progress for the marijuana industry, the U.S. House Financial Services Committee in March voted to pass legislation that would make it easier for marijuana businesses to access banking services. The bill will be considered by the entire House, which is now run by marijuana-friendly Democrats. The “green rush” traces its origins to 1996, when the voters of California agreed to allow patients and their caregivers to possess and cultivate marijuana for therapeutic purposes. Known as the California Compassionate Use Act, Proposition 215 created the country’s first open marijuana market and gave birth to the wave of state legalization laws (both medical and recreational) that have made possible a multi-billion-dollar industry that revolves entirely around a plant that has been used by civilization for thousands of years. According to Ameri Research, the global legal marijuana market generated spending of $14.3 billion in 2016 and is forecast to grow at a compound annual growth rate of 21.1% between 2017 and 2024, culminating in 2024 revenue of $63.5 billion. To meet this projected demand, Aurora has greatly expanded in recent months, buying other companies and building new facilities. Notably, in December 2018, Aurora announced the acquisition of its Mexico-based medical cannabis partner, Farmacias Magistrales. Aside from providing entrée to the huge Mexican market, Farmacias is the only company so far that has a license to import, manufacture, store, and distribute medical cannabis that contains over 1% THC. Through Farmacias, Aurora can provide Mexico’s consumers with non-flower medical cannabis products containing THC, which convey higher profit margins than the flower variety. In this video, Aurora CEO Terry Booth discusses the company’s aggressive expansion plans. Aurora made a major foray into Europe in April that’s a huge step for the company as well as the entire industry. Aurora Cannabis announced this month that it was one of three cannabis companies selected by the German Bundesinstitut fur Arzneimittel und Medizinprodukte BfArM (Federal Institute for Drugs and Medical Devices) to cultivate and distribute medical cannabis in Germany. Aurora obtained the highest quality ranking out of all 79 concepts that were submitted to the Institute. Aurora received five of the 13 available lots under the tender, the maximum number allowed. Each lot awarded allows for up to 200 kilograms to be produced annually. Under the terms of the deal, Aurora will supply a minimum of 4,000 kilograms of medicinal cannabis over a four-year period to the German government. German authorities will in turn supply Aurora’s product to wholesale distributors serving German pharmacies throughout the country. Medical cannabis was legalized in Germany in 2017. Germany is the economic growth engine of Europe and home to 82 million people. Under the country’s universal multi-payer health care system, reimbursement levels for medical marijuana are expected to be high. The deal announced in April between Aurora and Germany should provide a powerful multi-year tailwind for the company. Will Aurora Cannabis Go Down In 2019 (Should You Sell)? Thousands of thinly capitalized startup companies are trying to catch the legalization wave, but most are on the road to failure. Sharp sell-offs in the broader market have been particularly hard on pot stocks, which can shoot up or down on even the whiff of bad news. The exploding pot stock sector is poised for a brutal shakeout, as investor euphoria wears off and Wall Street comes to its senses about many small marijuana companies that have been bid to ridiculous heights on hype. To be sure, Aurora has been in expansion mode. Problem is, the company has been financing its acquisitions and infrastructure investments with common stock. For example, the Farmacias deal in December is the fourth time in 2018 that Aurora issued common stock to facilitate the purchase of another company. Share issuances hurt shareholders because they dampen the value of existing shares. In addition, a higher number of outstanding shares makes it more difficult for Aurora to achieve substantial earnings per share. Despite the caveats I’ve just mentioned, I’m generally bullish over Aurora Cannabis. Aurora Cannabis’ operating results have been solid. For its full fiscal year 2018, Aurora Cannabis racked up revenue growth of 206% compared to the previous year. Net income moved to a profit of C$71.9 million from a loss of C$13 million in fiscal 2017. As industry tailwinds accelerate, especially in the company’s home country of Canada, Aurora’s operating results should improve. Although not an unqualified triumph, Aurora’s latest quarterly earnings report was auspicious. For its second quarter of fiscal 2019, Aurora reported net revenue of C$54.2 million, up 83% sequentially, and up 363% compared to the same period a year ago. The bad news is, Aurora lost C$237.7 million in the second quarter, equaling a loss of 25 cents per diluted share, compared with a profit of two cents per share or C$7.7 million a year earlier. However, Aurora has been making good use of its growing revenues, by plowing the money into an expansion of production capacity and the penetration of new international markets. If a company is growing revenues, expanding market share and investing in a sensible strategic plan, I’m willing to temporarily accept some red ink. Another enticing aspect of Aurora is its suitability as a takeover target. The fast-growing marijuana industry is consolidating; a major beverage or tobacco company could come along as a suitor, attracted not just by the company’s broad product portfolio but also by its entrenched foothold in Canada. America’s northern neighbor holds strategic value in the booming marijuana industry. A deep-pocketed consumer products company such as Coca-Cola could come along and simply buy Aurora Cannabis, to create cannabis beverages and help offset declining sales of sugary soft drinks. Aurora shareholders would probably reap a windfall. Aurora Cannabis isn’t for risk-averse investors. But unlike many of its rivals in canna-business, Aurora enjoys meaningful revenue growth and market expansion that should pay off this year and beyond.